Close your eyes for a minute and picture your quintessential Southern California landscape. We’re guessing that the image you’ve imagined contains a blue sky sprinkled with palm fronds. Due to their overwhelming presence in the Greater Los Angeles area, you may be led to believe that they’re native to the area. However, only one species, the California Fan Palm, is native to Southern California. The remainder of palm trees in the area have all been imported. Unfortunately, planting any sort of tree outside of the confines of its natural habitat usually requires a lot of maintenance. Another common misconception that Angelinos have about palm trees is that they’re master desert dwellers. Although palm trees conjure up images of Los Angeles as a desert oasis, these trees actually owe their iconic status to engineering feats completed by the Los Angeles Department of Power and Water around 1942. In reality, palm trees need an abundance of water and care to best maintain their health. 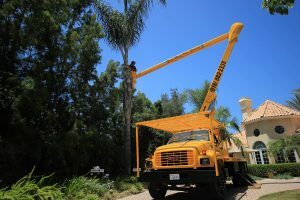 In addition to making sure that your palm tree is adequately watered, we suggest looking into an annual skimming or trimming service. Let’s go over what exactly “skimming” your palm tree entails. What Does Skimming A Palm Tree Mean? “Skimming” a palm tree simply means that dead fronds and their remains are literally shaved off the tree. Its generally suggested that palm trees should be skinned during the spring, that way the dead fronds that your tree has accumulated over the course of the past year are able to insulate the tree throughout the colder winter months. In addition, leaving the dead or decaying fronds on your palm tree can create nesting sites for pests like yellow jackets and mites. In addition, and particularly in the Greater Los Angeles area, they can also be a fire hazards. Therefore skinning your palm tree is more of a necessity than you may realize. appointment, the original service fee stands firm. 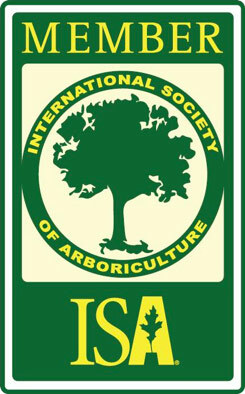 Between our highly trained staff’s experience and our up-to-date equipment we’re capable offering the most efficient and safest tree trimming service in the market today.